Seattle's premier aquarium maintenance, design, and servicing company serving the greater Seattle, Tacoma, Bellevue, Everett, & Issaquah areas since 1998. Now offering our services in Nanaimo, BC as well! Barrier Reef Aquariums is a full service company dedicated to providing you with a beautiful, relaxing piece of living art. We will design your custom aquarium and system, and work hand in hand with your contractor or designer to ensure a seamless transition into your home or business. We will then create a maintenance program that caters to your individual needs and budget. 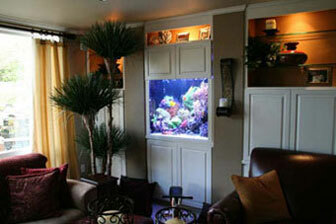 Our technicians are friendly, professional individuals who will manage your aquarium with integrity. Should emergencies arise we are available 24hrs a day. We also guarantee our work and livestock. Plumbing and installations are guaranteed for 90 days. Livestock is covered for up to 48 hours as long as certain conditions are met. Our servicing territory includes Seattle and the Greater Eastside. We travel as far north as Everett and as far south as Fife. We do occasionally get as far east as Ellensburg. Special accomodations will be considered.We also service Nanaimo, BC! Our company offers a couple unique options which set Barrier Reef Aquariums apart. 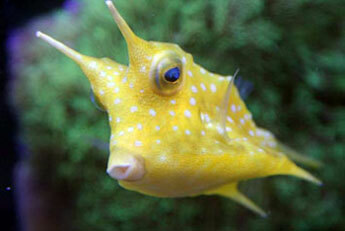 One is our ability to provide FREE live corals to the reef aquariums we service. If the client wishes we will select specimens from our personal coral propagation facility, or "farm", and provide them free of charge as long as we service the aquarium. 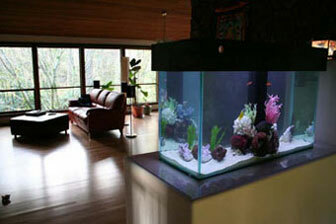 This helps to reduce the cost of stocking your aquarium and allows for a completed look much more quickly. This offer has limited availability. Second, Barrier Reef does not require long-term contracts so you are not obligated to use our services should your circumstances change. Using Barrier Reef Aquariums for your aquarium servicing needs provides you with the peace of mind that your fish, and other aquarium livestock are well cared for. Please visit our online store if you are strictly interested in purchasing livestock or dry goods.